It was about forty yards to the gallows. I watched the bare brown back of the prisoner marching in front of me. He walked clumsily with his bound arms, but quite steadily, with that bobbing gait of the Indian who never straightens his knees … And once, in spite of the men who gripped him by each shoulder, he stepped slightly aside to avoid a puddle on the path. growing when he stood on the drop, when he was falling through the air with a tenth of a second to live. For most of us, death will not come while we’re in rude health. But the extremity of the prisoner’s predicament illustrates the shortcomings of the human mind to fathom what lies on the other side. The body is our immediate concern. Questions about how to die, how to die well, and how to remember the dead have plagued generations. But the overwhelming unknown remains: how do we think about death at all? 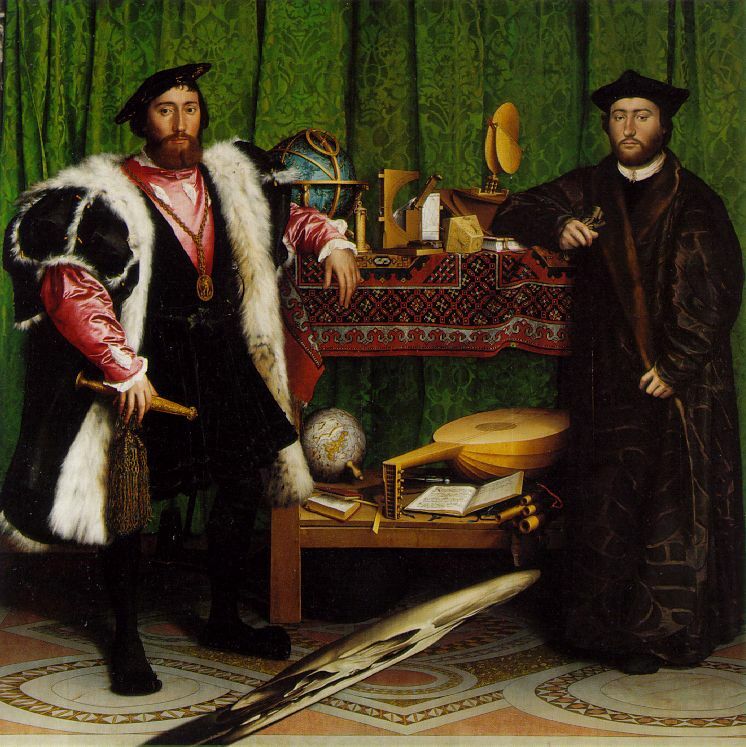 Like Holbein’s anamorphic skull in his most celebrated painting ‘The Ambassadors’, it might best be viewed askance. This Issue of REMEDIA offers a range of perspectives. It seems fitting to consider mortality in January and February, as bare trees and bitter cold tell us that it will be months before the ground softens into spring. We have taken refuge indoors: Lisa Haushofer is torn between awe and repulsion at the sight of anatomical specimens in her review of the Hunterian Museum of London. Back in the US, Lisa takes a closer look at how the Civil War changed American attitudes towards death after reading Drew Faust’s latest book, This Republic of Suffering: Death and the American Civil War and visiting Harvard’s Countway themed exhibition. She explains how this unprecedented conflict played into the history of cremation. Walking around the Wellcome’s latest exhibit gets Kate Womersley thinking about death ephemera and the interplay between medical science and imaginative art. Inspired by a visit to the Mutter Museum in Philadelphia, Cara Fallon weighs the significance of memento moris, both past and present. Assessing the recent controversy over end of life care, Kate’s interview with the British philosopher, humanist and physician, Professor Raymond Tallis, covers some of the most urgent issues in the assisted dying debate. A thoughtful study from Daniel Gross on mercy killing’s representation in mid-twentieth-century comic strips is a further reminder of the issue’s sensitivity in the public domain (forthcoming). But sometimes popular opinion is led astray, as Ellen von Reuler suggests in her discussion of the ways in which literary works on ‘suicide tourism’, such as Ian McEwan’s Amsterdam, compare with reality. Collectively, these pieces plot the changing landscape about how and when we die. If by now you have had your fair share of morbidity, why not turn to Kristen Keerma Friedman’s examination of the prescriptions made by the Humane Society of Philadelphia in the eighteenth century; she gives wise advice about how to avoid a premature death (forthcoming). As ever, we hope that the Issue provokes both reflection and debate. We’re waiting to hear your thoughts.